Your four biggest questions, answered. We’ll walk you through what to expect on your first Frontier bill, what Partial Month Charges mean and why they appear, a break down of taxes and fees you’ll find on your bill, and how to set up your Frontier ID so you can manage your account and pay online. Why is my first bill larger than expected? What are partial month charges? What are all of these taxes and fees? How do I create a Frontier ID? A page-by-page breakdown of your bill. We walk you through each section of your bill, what to expect in each section, and answer some frequently asked questions. 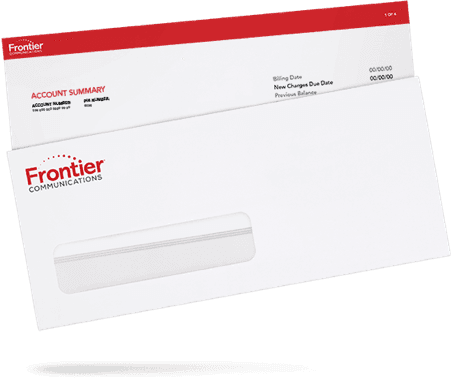 Frontier makes it easy to pay your bill, whether you're at home or on the go. Find answers to questions related to billing, your Frontier ID, taxes, and more.